left: Current. right: New. 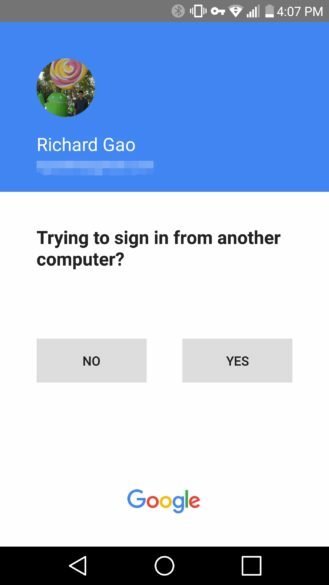 Please excuse the crappy quality of the picture that Google provided. 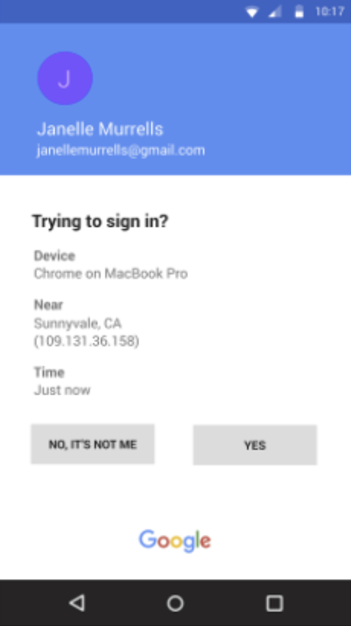 While the prompt formerly only allowed you to select yes or no, the updated version will also display the device that is being used to sign in (for "Janelle," a MacBook Pro using Chrome), a rough location and IP address, and a time. 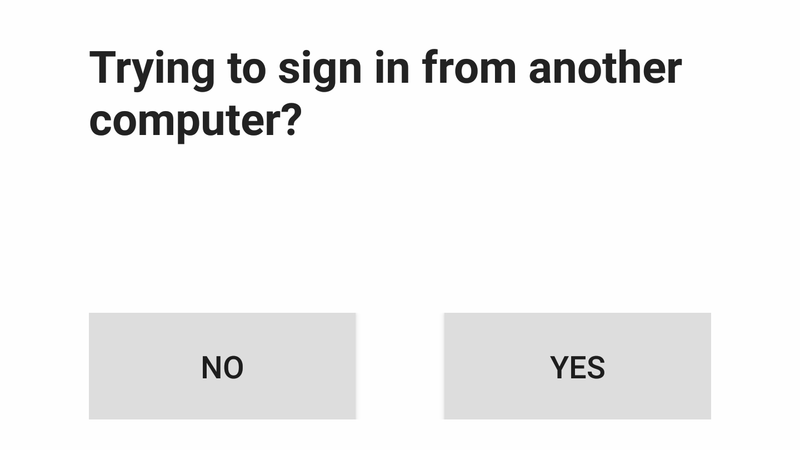 The "No" button is also being switched to a more friendly "No, it's not me," but that's obviously less important. These changes will be rolling out at a gradual pace to both Android and iOS devices, so don't panic if you don't see them in the next few days. If you haven't enabled this convenient method of 2FA, you can see a help page about it here.